Earlier today Sarah and myself went to the annual ANZAC service at Milton Cemetery in Portsmouth, in remembrance of the 13 Great War Australian soldiers buried in Portsmouth. Regular readers might remember that I ran a series earlier in the year about the men and their experiences. 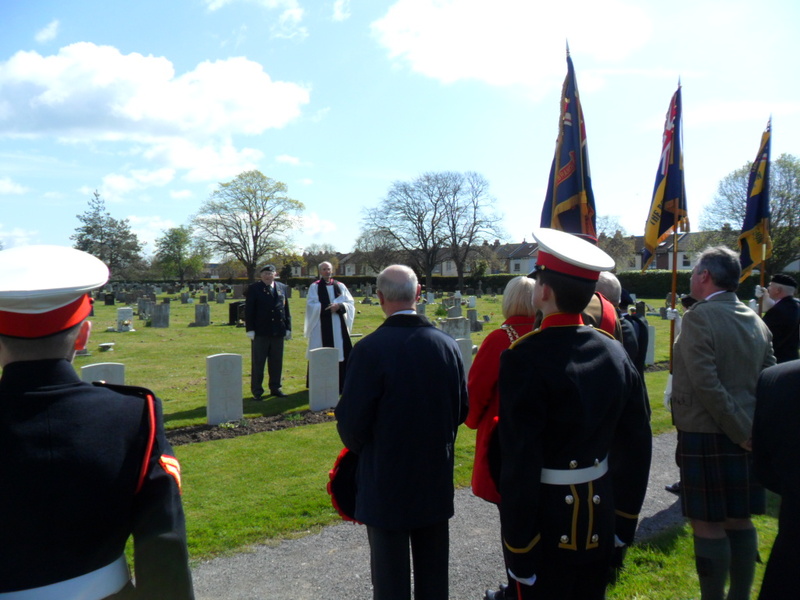 The service was attended by the Lord Mayor of Portsmouth Councillor Cheryl Buggy, Royal British Legion Standard Bearers, Royal Marines Cadets and members of the public. After a few words and prayers from the Chaplain, the last post was sounded and a minutes silence observed. After the reveille wreaths were laid, along with Poppy crosses. 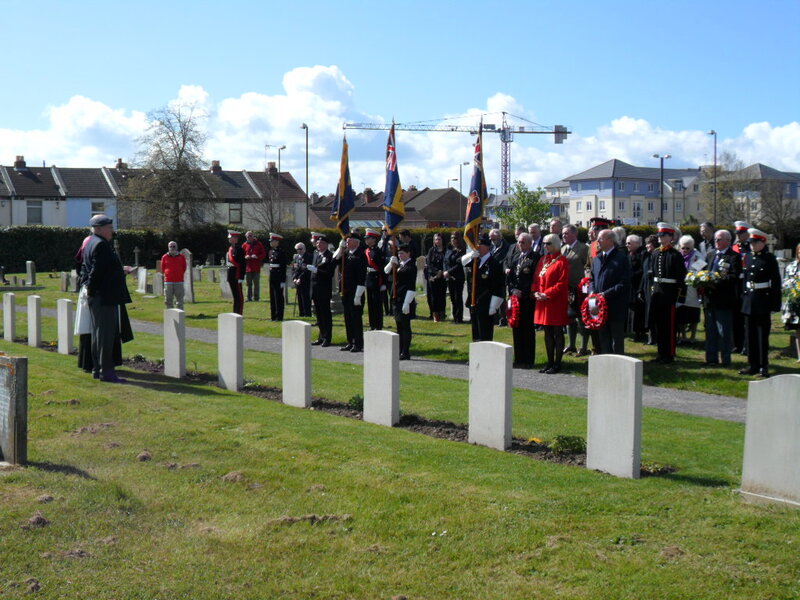 It was great to see such a turn out, especially for some very young men who died over 95 years ago, so far from home. Hopefully they would be pleased that they have not been forgotten. 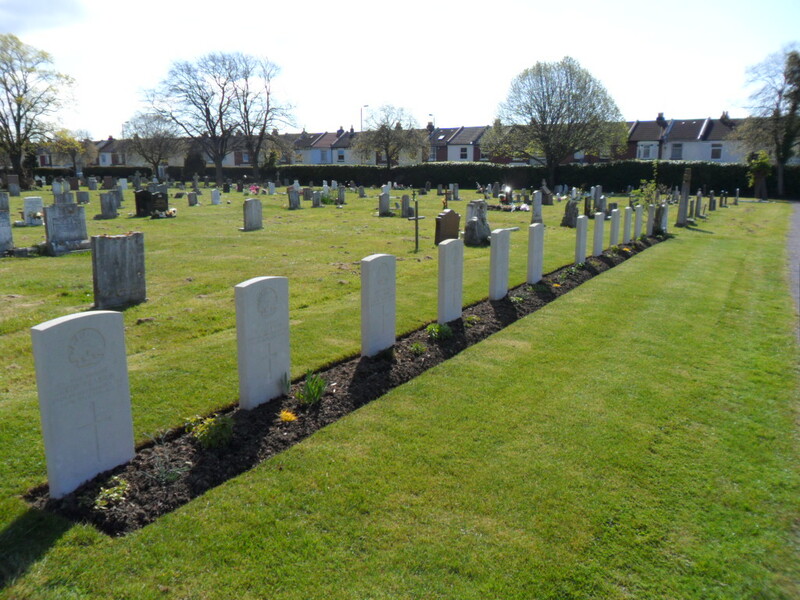 As you can see the graves are in a beautiful condition, and are tended by the Commonwealth War Graves Commission. All of the 11 in this particular row were buried separately, but then exhumed and re-interred after the war in the same row. Hence their graves look very much like war graves in some of the big foreign war cemeteries in France and Belgium. Also buried next to them is Edward Sanderson, who voluntarily tended the Australian graves, and his wife Harriet. I also have pictures of each of the men’s graves, and I will be updating their biographies on my blog with their pictures. If anybody from Australia would like to take copies of these pictures, then please do. I am also hoping to write an article about Portsmouth’s adopted ANZAC’s for th Australian War Memorial Journal in the near future. 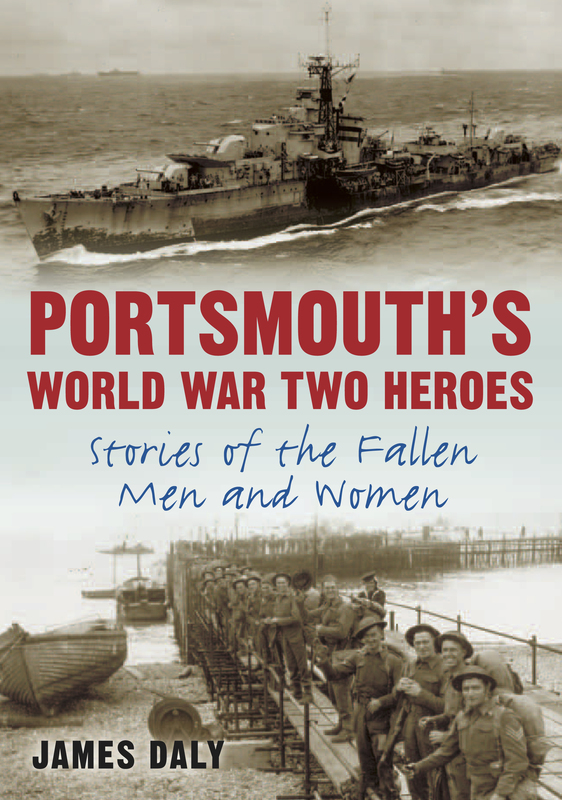 I’ll be signing copies of ‘Portsmouth’s World War Two Heroes’ at Waterstones in Portsmouth tomorrow, from 11am until 3pm. If you want to buy a copy and get a special dedication – either for yourself, or as a gift for a relative or friend maybe – or you would like to talk to me about the book, fee free pop by and say hello. On Sunday I will be at the D-Day Museum in Southsea to give a short talk about my book ‘Portsmouth’s World War Two Heroes’. Afterwards I will be signing copies. The talk starts at 2pm, and is included in the usual admission price to the museum, or £2 for the talk alone. The book signing afterwards is free to all. If you’re into Charles Dickens there’s a hell of a lot going on in Portsmouth over the next week or so. The City Museum in Portsmouth is hosting an exhibition, aptly-titled ‘A Tale of One City’, looking at Dickens and Dickensian Portsmouth, and exploring some themes that Dickens wrote about – poverty, money, crime, they’re all things that Charles Dickens wrote about in Victorian times and we are still faced with today. The exhibition also features part of the original manuscript of Nicholas Nickelby, the only Dickens novel which features the town of his birth, on loan from the British Library. The exhibition runs until November. Tomorrow (Sunday 5th Feb) the Charles Dickens Birthplace is free entry all day. And on Tuesday 7 February, on the great man’s two hundredth birthday itself, the Charles Dickens Birthplace Museum in Portsmouth will be hosting special events throughout the day. There will be a range of activities and celebrations in Old Commercial Road, including street performers, musicians, food, craft activities and readings. At 10.45 the Lord Mayor of Portsmouth and Ian Dickens will speak outside the Museum, before laying a wreath. At 11.30am the Museum will open to the public. The birthplace itself is a small terraced house, so expect it to get very busy! For more information click here. At 12 noon there will be a thanksgiving service at St Mary’s Church in Fratton, where Charles Dickens was baptised in 1812. Simon Callow and Sheila Hancock will both give readings, and there will be a performance of Songs from Oliver by the choir of St Johns RC Primary School. In the evening at the New Theatre Royal Simon Callow will be reading excerpts from his book ‘Charles Dickens and the Great Theatre of the World’. Later in the year the Dickens Fellowship are planning to unveil a statue of the great man himself, appropriately outside Portsmouth Central Library Square. I’ve always been a great fan of Dickens and his works. The funny thing is, I don’t actually enjoy reading the books that much – the manner in which they are written does not, I feel, lend itself well to reading from cover to cover. The books were initially serialised by chapters, in cheap popular magazines of the day. This is probably how they should be read – a bitesize chunk at a time. Or performed – I feel that it is a true testament to Dickens that his works translate so well onto screen and stage, when TV was invented almost a hundred years after he was born! 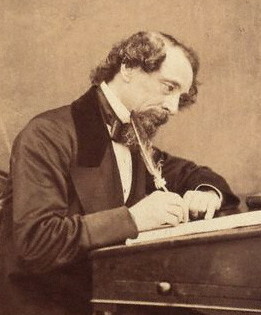 The themes, subjects and stories that Dickens wrote about are very much still relevant today. What would Dickens have to say about Bankers bonuses? or last summers riots? Or social media? That’s the funny thing about history – and social history in particular. Whilst on the surface life has changed immeasurably, actually, humankind hasn’t changed all that much. Next year over the weekend of 18 and 19 August, the skies above Portsmouth will play host to up to seven hours of air displays. Sandwiched between the London Olympics and the Paralympics, it’s shaping up to be a fantastic occasion. It should be a huge draw, and great for Portsmouth. And best of all, it will be completely free to the general public! The organisers are in the process of assembling an impressive array of participants. Already confirmed are a De Havilland Sea Vixen and the Breitling Wing Walkers. The organisers are also in talks with the Vulcan Bomber, various Spitfires and a Hawker Hunter. From the RAF the Battle of Britain Memorial Flight, Eurofighter Typhoon, Tornado, Tucano and a Jet Provost have been invited. The Red Arrows have also been applied for, although given recent events they are grounded and their 2012 schedule will not be confirmed until February. 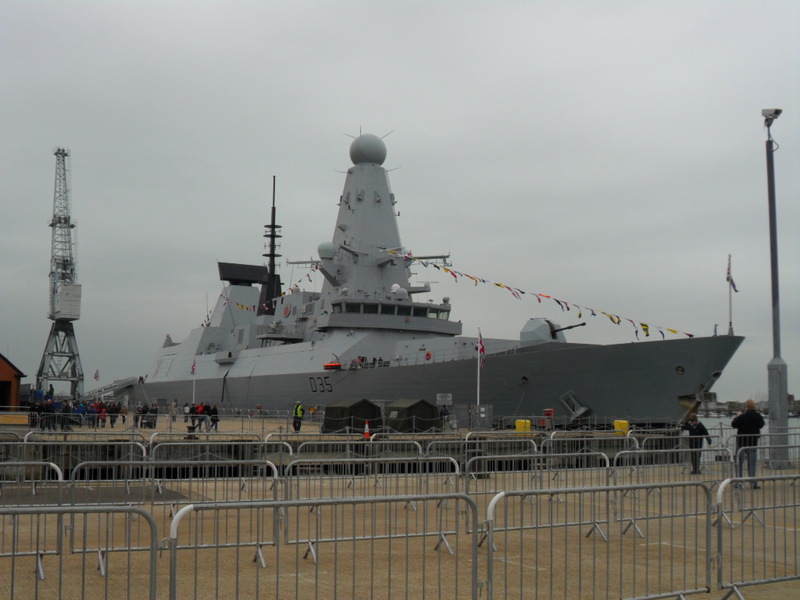 The Royal Navyhave also been asked to provide displays, and in terms of foreign assets the French Air Force display team and the Swiss aerobatic team are also in discussion, and these kind of rarities are the icing on the cake of the airshow circuit. Two parachute display teams have also been invited, from the RAF and the Royal Navy. In many cases the organisers have actually been approached by teams wanting to display. But it’s not just about what is going on in the skies. Southsea Common will be alive with events, including a Family village, retail and merchandise areas, a food village, craft village, business and enterprise areas and corporate hospitality. 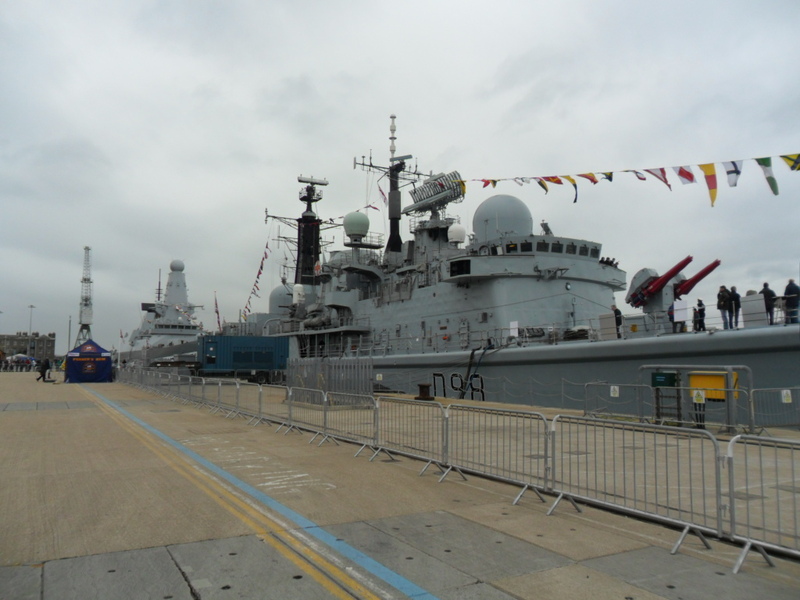 Of course Southsea Seafront, with its panoramic views, historic setting and naval heritage, is perfect for such an event. And in a real treat, there will be a pop concert on the Saturday evening – including a Queen tribute act! – and a firework display finale. 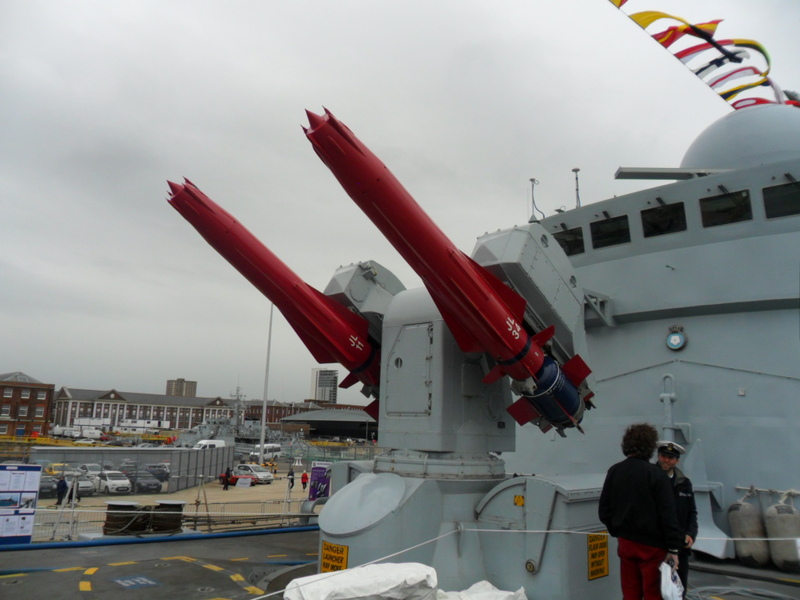 A field gun competition between the Royal Navy and Royal Marines is also a possibility. The idea is that this will become an annual event, and the organisers Maurice and Steve are very keen to make sure that it is a sustainable event, on a firm business footing. In the words of Steve, it should have a real ‘Goodwood’ atmosphere. There are plenty of opportunities for sponsorship and corporate hospitality. 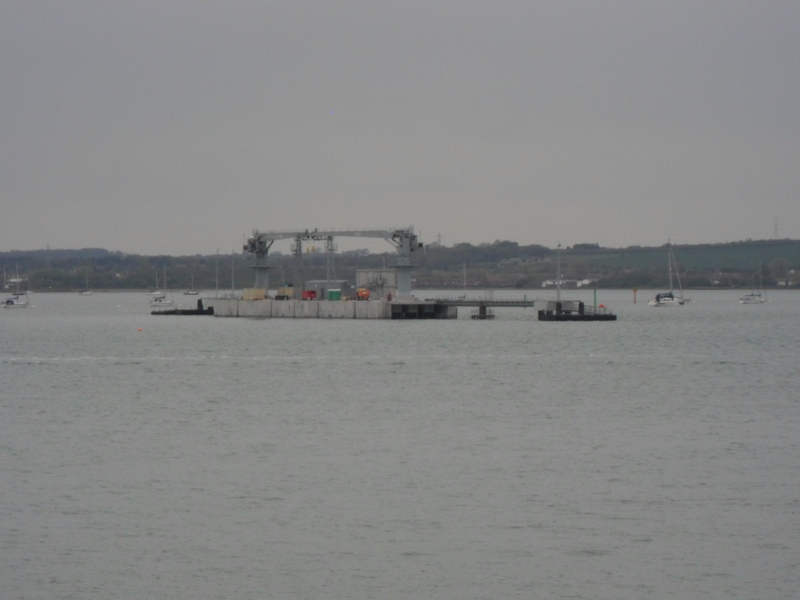 The organisers are also on top of the game thinking about transport – park and ride will be an option in getting to and from the seafront for the festival. 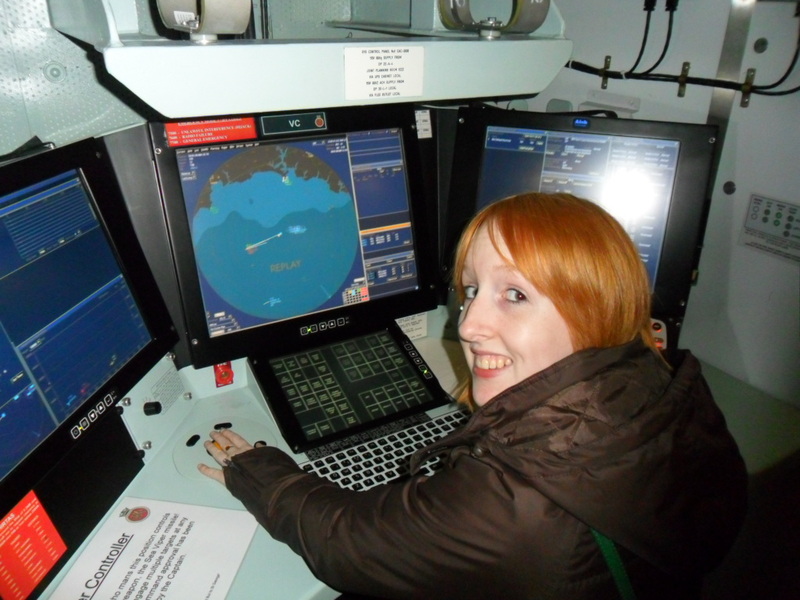 Whats more, the event is not-for-profit, and will be to benefit some very appropriate charities – the Royal Navy and Royal Marines Charities, The Army Benevolent Fund and the Royal Air Force Benevolent Fund. The event will also support the Exercise Tiger Trust, raising awareness of a tragic event at Slapton Sands in Devon prior to D-Day in 1944. I absolutely applaud Maurice, Steve and everyone involved. It has taken a massive amount of work to get this far, and they are to be congratulated. I wish them all the best. Lets all get behind it and give ourselves yet another reason to be proud of Portsmouth.